Notifier fire protection solutions, Morley, Esser and Honeywell will be distributed in Spain and Portugal by the Diid security company. From the beginning of year, Diid security It has expanded its range of solutions for protection against fire with the addition of brands Notifier, Morley, Esser and Honeywell. 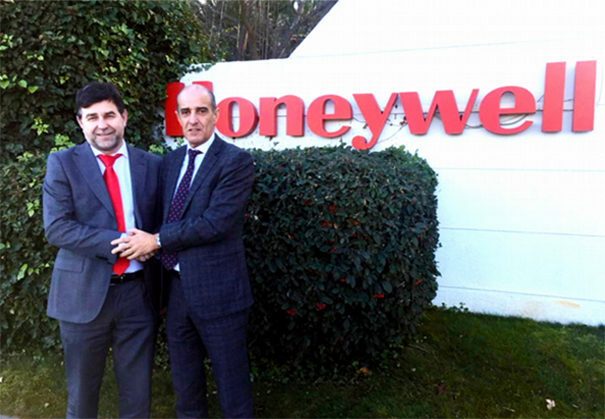 The agreement was formalized in Madrid by Emilio Sánchez, Enterprise Sales Leader Italy & Honeywell Iberia, e Ignacio Barandiarán, CEO at Diid. Notifier by Honeywell is dedicated from 1949 design, manufacture and distribution of fire alarm and detection systems. Its products have certifications issued by international bodies as LPCB, VdS, BOSEC, UL-FM or CPD. Honeywell MorleyIAS offers a range of solutions suited to facilities that vandesde small conventional systems to powerful analog/algorithmic systems that allow to control any building or risk. Designed products to a broad base of users who require simplicity and reliability in installation and ease of use. The history of Esser by Honeywell dates back to Klaus Esser, a manufacturer of products for construction in 1973 He decided to invest in the field of fire detection technology. So the first stone sat down to reach the current reputation as innovator in the field of fire protection. Honeywell, with its headquarters in Morris Plain (NY), create solutions to improve the quality of life around the world: generating clean and healthy energy and using it efficiently to increase security. Christian: "Me quedo en la Juve, al mil por ciento"